Nigel Farage will remain as UK Independence Party leader after the party rejected his resignation in the wake of the general election. Garage had promised to step down had he failed to be elected and after this turned out to be the case he promptly tendered his resignation. A statement from party chairman Steve Crowther declared "UKIP’s general election campaign had been a great success". He added "We have fought a positive campaign with a very good manifesto and despite relentless, negative attacks and an astonishing last minute swing to the Conservatives over fear of the SNP, that in these circumstances, 4 million votes was an extraordinary achievement." 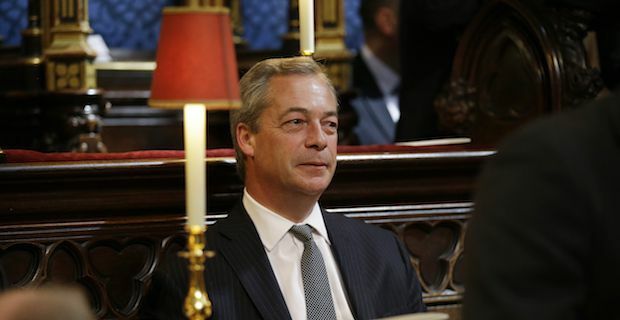 Farage has spoken in the past about the importance of him winning a seat in parliament saying "The consequences of me failing to secure a seat for myself in the Commons would be significant for both myself and the party. It is frankly just not credible for me to continue to lead the party without a Westminster seat." Crowther revealed that the party's National Executive Committee decided that Farage was the man to lead the party forward into the future. Despite Farage offering to leave his post and recommending Suzanne Evans to take his place Crowther concluded "On that basis Mr Farage withdrew his resignation and will remain leader of UKIP." Meanwhile, David Miliband has indicated that he has no interest whatsoever in leading the Labour party. David famously lost out on a family power struggle when his brother Ed narrowly beat him to Labour leader in 2010. Speaking today, David said "I’ve made a commitment here that I’m only 18 months into. The passion I have for Labour is as strong of ever, but I’m not a member of parliament. I took the decision to not be part of the soap opera."